Being in the “People Business” I felt this was a very relevant topic to touch on. Whether it’s the first 30 seconds or first 30 minutes, you are being judged when you first meet someone. Whether for business or personal reasons, you have just a small window of opportunity to leave a positive impression on someone. To win someone over, gain their trust, or just plain leave a good impression, here are some tips and tricks that I’ve used that are quite effective. Smile – Greet them with a warm smile. Let me give you a challenge. The next time you talk with a friend, associate, or someone new, greet them with a huge smile. Pay attention to their face. Chances are they will unconsciously smile right back. No phone zone – Call me old fashioned, but when conversing with someone, you need to put your phone away! Make good eye contact, engage, listen, and ask questions. This will make an individual feel important in the conversation. Don’t be late – When meeting up with someone for a business meeting or personal get together, you’re going to want to be on time. Someone who is punctual will not have the patience for someone who is late. They’ll also consider this rude. Be yourself – People can tell if you’re being authentic with them or not. Being true to who you are will gain your audience’s trust and respect. Don’t be the person you think people want you to be. Eye contact – It’s always good to practice making good eye contact. Avoiding eye contact can make one come off as timid, weak, or untrustworthy. Always look a person in the eyes when speaking. Posture – As for your non-verbal communication, it’s good to practice good posture when you enter a room. Chin up, shoulders back, and stand straight! This shows a level of confidence and respect on how you present yourself. Don’t slouch or slump your head. Ask questions – While in a conversation, ask some questions. One thing that you have to understand is that most people love to talk about themselves. Take advantage of that when making a good impression. I truly believe implementing these tips will help out not only in your professional life, but your personal life as well. Let’s get some dialogue going – what tips have you found helpful when making a first impression? Frantz Antoine joined the Celebrity Staff team as an Account Manager in January 2017. He previously worked for Celebrity Staff’s sister company, Aureus Group, since February 2014. 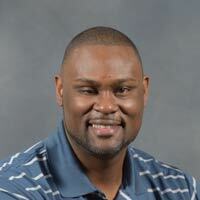 Frantz attended Doane College and has a bachelor’s degree in organizational communications. In his free time, Frantz loves spending time with his wife and daughters, especially when they are adventuring to new places. He enjoys filling his plate with new and exotic foods and stays active by exercising, playing basketball, and traveling. Frantz likes being in the company of others and laughing. He finds there’s nothing better than Husker Season when the city is in its football spirit!